If you happen to have a Firestick and want to watch Game of Thrones online, then this guide is for you. Game of Thrones fans were heart broken when they found out that season 8 will be the last season and will be coming after 2 years. Now the wait is over, the show will return, as HBO announced the release date of season 8 to be April 14, 2019. It will be available on cable network, as well as through its digital streaming service HBO Now. For users who want to watch Game of Thrones on Firestick, HBO Now app is the best option to watch the show. However, do note that HBO’s standalone app is only accessible in the US. Therefore, you will need a tool to spoof your IP address and the best option is through a Firestick VPN. The HBO Now app is available on the FireStick app store along with hundreds of other add-ons. Firestick TV being one of the top digital media streaming devices in the market, HBO Now app is available directly off the store. How do I Set up HBO Now on FireStick? Note: Don’t forget that HBO Now is a paid service. 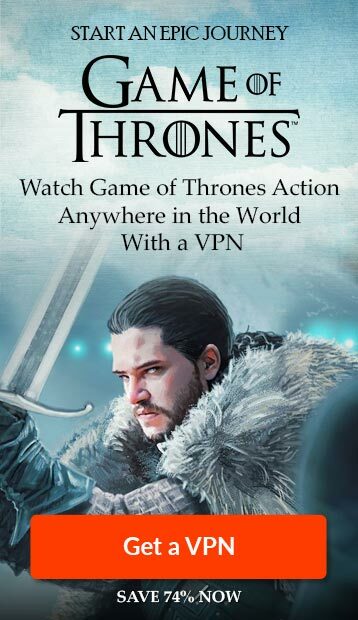 You will be needing an active subscription to access the latest of Game of Thrones on FireStick. Understand that HBO Now is available only in selected countries. If you try to access it from a country where it is restricted, you will be unable to access it. Here is where a VPN service comes in, the true savior of online security and freedom! A VPN enables you to choose a different server location than the actual IP address that you have. You could be sitting in the Central Park and appearing to be in the United Kingdom digitally, enabling you to visit websites that are otherwise region locked. When buying a VPN service, there are many factors that you need to consider. User need vary from person to person, like one person could be more concerned about price while the other needs fool proof cyber security. Therefore, the final choice may depend on your needs and requirements, but I would suggest to select the best VPN that offers vast server network, especially in the US. 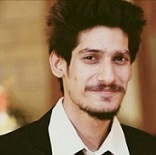 It will allow you to jump digital boundaries easily. Many users have stated various issues while trying to watch shows and movies on HBO Now app. Here are some queries and complains I found on Amazon prime page. 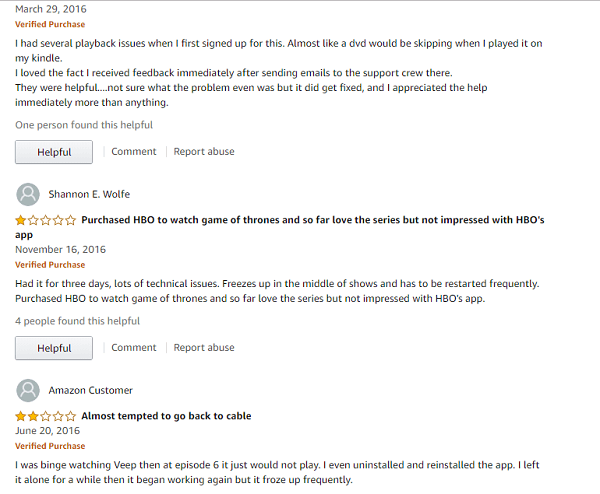 As can be seen, there are many errors that viewers face while watching HBO on Firestick. HBO Now offers a detailed troubleshooting section for all other queries; you can check it out. Hopefully the above mentioned solutions will help you to view HBO without any problems. When the trailer for season 8 was released, the audience went crazy. There are numerous predictions for Game of Thrones all over the internet. All you could hear were GOT discussions and conspiracies and the unconditional love for characters like Tyrion Lannister and Jon Snow. As expected by the fans, the trailer shows the great battle against the White Walkers which is going to be the most awaited scene that the entire series has shown so far. There are two reasons why this season is very important. The first reason being that it will continue from where it was left. The second reason being that this will mark the end of the epic series that has entertained fans for almost 9 years. After such a long time, anticipation has only risen among fans and they are now crazier than ever before! It is a very good time to watch the previous seasons of Game of Thrones if you have never watched it or left it midway. As the final season arrives on the 14th of April, you too can be part of the crowds that’s anticipating the final season of the world’s greatest show!